Not sure of the quality of these, I made them in word and copied into PSP. I laminated and then cut them up. I work with a group of SEN children and after 10 weeks they are now managing to sound out cvc words. I wanted to give them more than one word to sound out, a sort of mini sentence. 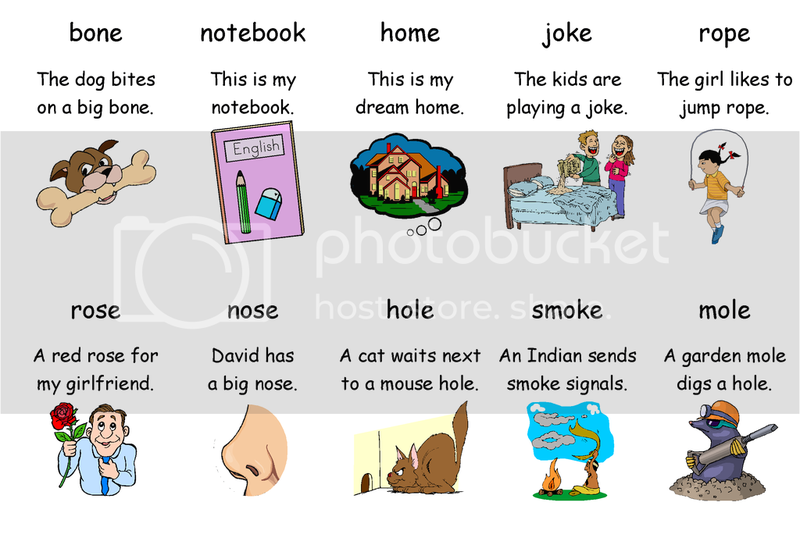 We have been working a lot on sh, ch and th and they are brilliant at remembering which is which. I did try some longer sentences but they found this too difficult. They could work out the words but had forgotten the sentence by the time they had got to the end. Last edited by Maltesers on Wed Apr 04, 2007 4:09 pm, edited 1 time in total. I should have said that if anyone wants them all you need to do is right click over the image and 'save picture as' and then choose a name. 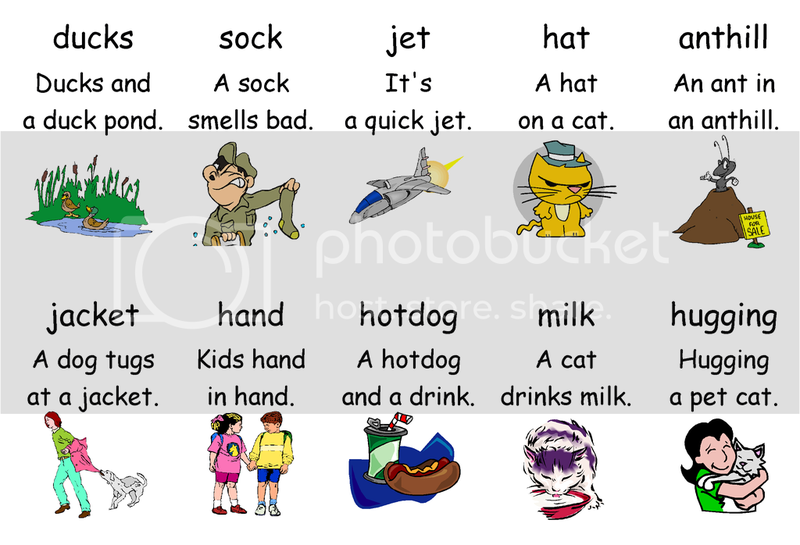 I use these illustated sentence cards with Japanese pupils. I think that they will be quite useful with EALs students. The pictures are to give meaning to the words. This is just a sample of the many cards I have made. Thank you once again for sharing your resources, David. These are a great idea. Please don't be offended if I make one comment about them which may appear negative but isn't meant to be! 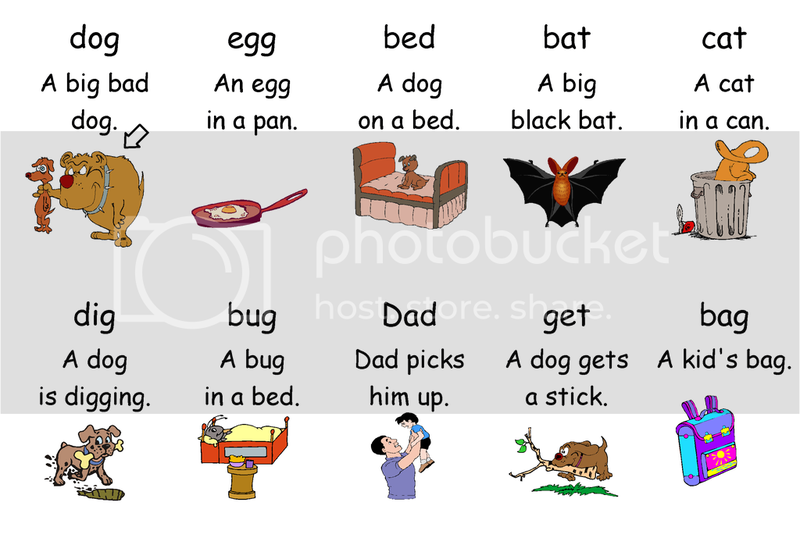 Beneath the focus word, you write a variety of phrases and simple sentences. These are all excellent. 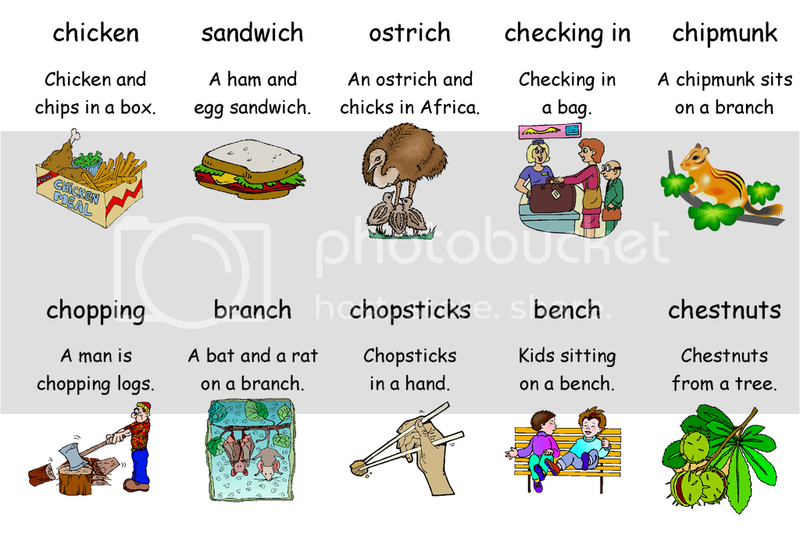 What you haven't done, however, is differentiate in terms of punctuation as to whether these are phrases (part-sentences) or proper sentences per se. Adjustment to your resource would be relatively simple - change any capital letters and full stops in the 'phrases/captions' and leave capital letters and full stops in place for the sentences. I hope you don't mind me making this comment - and it must be taken 'in the scale of things' as your contributions are invaluable. With respect, Debbie, I don't see a need for adjustment there, although I can sympathize with your concern for grammar awareness. 1) A phrase is also a valid sentence. In fact, any expression that conveys a thought clearly, qualifies: 'Yes. ', 'Agreed. ', 'He did. ', 'Six pegs on a cup.' are all sentences. 2) The focus of this material (as you recognized) is decoding, not punctuation or sentence construction. 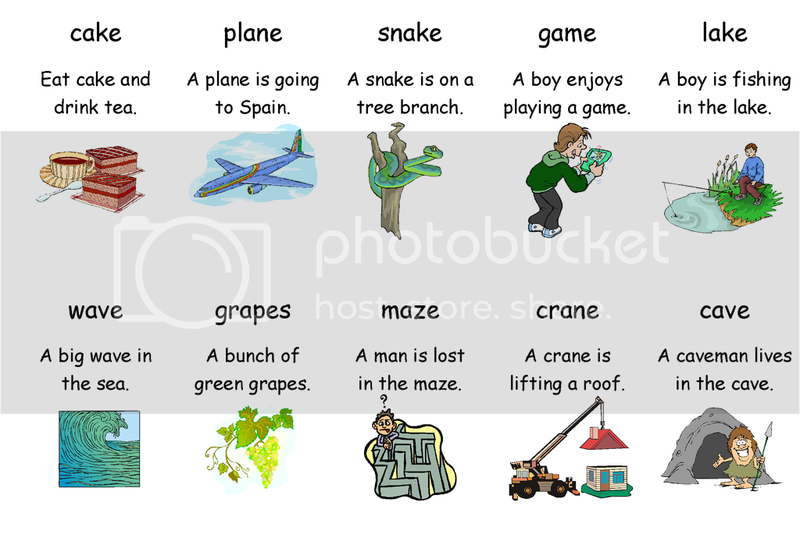 Drawing attention to the distinctions between phrases and 'complete' sentences would only distract from the lesson's focus: developing ability and confidence with decoding the alphabetic code. 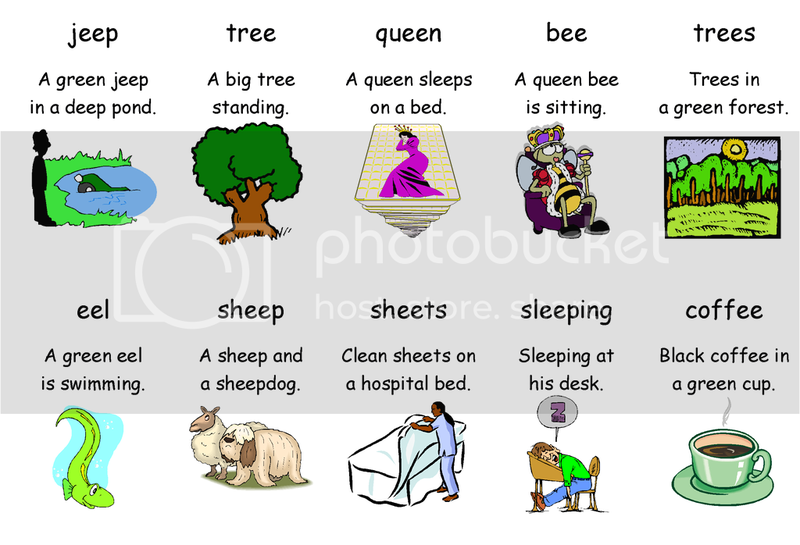 3) The students working with these phrases will be getting very thorough grammar lessons later on. 4) The phrases shown all have capitalized first letters and periods, which complies with all the needed punctuation marks of a sentence (I think). The examples that Malteser provided actually lack periods, and strike me as a little awkward because of that, interestingly. d) Many wet bugs in a box. e) Many wet bugs are sitting in a box. I don't have any problem with any of those stages or constructions. My homework material uses all of them, depending on the level of the material and the space availible on the page. For game cards and activities at a beginner level, the b) and c) form is admittedly casual, but not harmful in my view. The d) form is fine, I think. I do make a clear distinction when the students begin writing sentences, however. 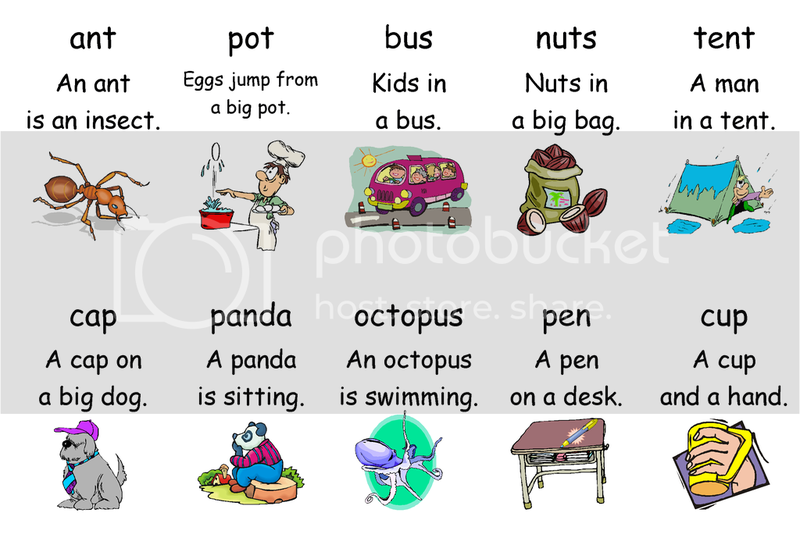 If they can write 'dog', 'cut' and 'rip', they are ready to write 'It is a pot.' and it only takes a ten minute lesson to show them how. From that point, I expect (and enforce) proper spacing and punctuation in their writing. As the students progress in their work with English, I would of course want them to become used to dealing with complete sentences with proper punctuation. Initially, however, the priority would be in developing confidence with the alphabetic code. As the students develop their language ability, the text of the material would gradually transition into literature-quality construction. Absent any gross violations that might encourage poor habits, I think a gentle transition can be acceptable. It's similar perhaps to the font issues that we deal with when designing learner materials. I start off with an ABC School font, which we almost never see in published materials, and gradually shift into Helvetica. Thanks very much for your feedback on these materials. I'm certainly not "offended" by your comments. My apologies for not responding sooner, but I wanted to give the matter some thought first. To be honest, I had given little thought to differentiating between phrases and sentences when I designed these cards. I had more in mind the decodability and simplicity of the 'sentences' and how to match them to the graphics. When designing materials I look for consistency and balance in the design and so I feel that giving the grammatically correct punctuation to the phrases and sentences will upset this balance. Of course, I could redesign the materials and separate them into phrases and sentences, but since most teachers in language schools in Japan don't actively "teach what constitutes a sentence", then it doesn't seem so important. Many schools in Japan are using these materials and no one apart from yourself has commented on the 'incorrect' punctuation of these sentences; perhaps because we are language teachers, teaching English as a foreign language. Now when I made my verb cards, I presented them all as phrases, no capital letters and no full stops, even though I could have written them as imperatives and given them capital letters and periods or exclamation marks and in spite of some of them being complete sentences. Again, it was about visual balance, consistency and decodability, and less about grammatical fidelity. My feeling is that in Japan it doesn't matter, most teachers don't have strong opinions about the need to differentiate between phrases and sentences in teaching materials, though they would expect correct grammar to be found in their textbooks. I fully realise that the teaching situation in Britain is quite different, though I always consider that my own materials would be very useful with special needs students and EAL pupils. Peter (Warner), who has several years experience in designing his own materials, has taken a similar stance to myself and this helps me to feel more at ease with my design. Debbie, what I would like to do is to redesign some of my cards to make them more suitable for use in Britain and then post them up on the Reading Reform Foundation forum. 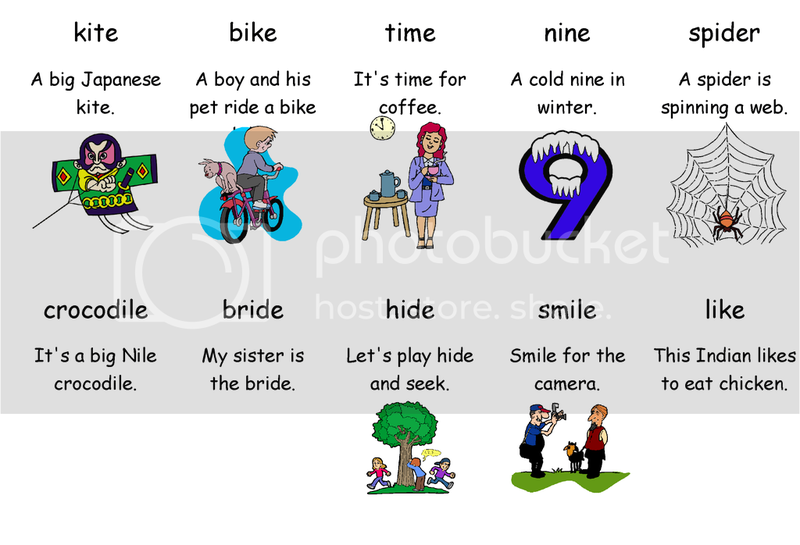 Many schools in Japan are using these materials and no one apart from yourself [Debbie Hepplewhite] has commented on the 'incorrect' punctuation of these sentences; perhaps because we are language teachers, teaching English as a foreign language. This may interest you David; When I attended a seminar two months ago in Nagoya presented by Donald Kinney, one attendee actually raised the exact same point that Debbie has on this forum. (The Kinney Brothers self-publish a series of EFL workbooks very similar to our own efforts.) A sample worksheet had a series of phrases just like we've been discussing, some with punctuation and some without, and she was insistent that 'these aren't sentences!'. She actually felt that the material was unacceptable because of this. Donald was gracious in not reacting (she was pretty emotional about it), and simply promised to investigate further. I was part of the discussion and pursued it further with Donald by personal email after the event. He came across a classification of 'Major' and 'Minor' sentences (I haven't found that myself) but did verify that phrases, if coherent, were valid sentences. The teacher who raised the objection is an older Japanese teacher of English in junior high, consequently she is keenly aware of grammar requirements. I've known her for several years as an enthusiastic (if strict) teacher. I think I can understand her sensitivity to things like a missing verb or no period, but I don't share her alarm. I'm not suggesting Debbie is being emotional or alarmist mind you, I think punctuation and such deserve respect in our teaching materials, and I appreciate the reminder. It's interesting that the issue has surfaced twice now within two months on different forums. Hi Peter and David - thank you for your very interesting responses. I have no problems at all with your comments and am relieved that you have not been upset with mine as that was certainly not my intent - you both know me well enough for that! I take your points very well indeed and certainly agree that the foremost teaching and learning intention is the decodability of the sentences and phrases and the breadth of vocabulary which the very accessible examples provide. I worried that my comments might appear ungracious when the two of you make such significant contributions to the RRF message forum in many ways - and I would be most upset had my comments put you off adding further resources to the RRF website - that would be a major loss. In truth - I suspect that not only would your students be unaware about any 'hair splitting' over whether the decodable words were sentences or phrases - many teachers themselves would be unaware. I consider one of the weaknesses of teacher-training and our infant and junior teaching to be insufficient emphasis on simple sentence work. It seems to me that the moment children enter our pre-schools and infant schools there is a major pre-occupation with children being able to write independently and creatively. The goal is that they 'can express themselves'. The irony is that most of these children can barely express themselves orally before they are expected and encouraged to express themselves through writing. I have criticised, for example, the premature and over-emphasis on genre writing in our early years settings. I believe this is expecting children to 'run before they can walk' when they can barely speak or write a good sentence. I believe there should be a much-increased emphasis on simple sentence writing and then more complex sentence writing allowing teachers to apply the time and attention needed at this level before expecting teachers to teach genre writing. Even now I have this dilemma in my own scenario. 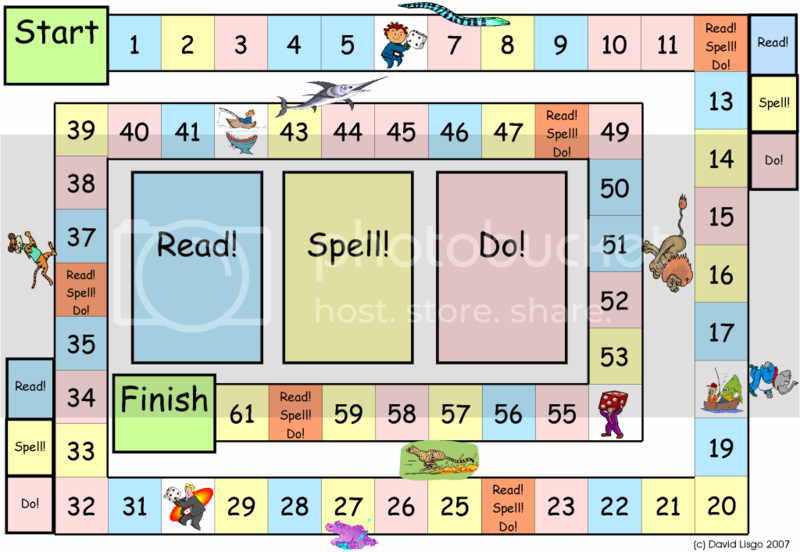 I am currently teaching Year 2 children (six to seven year olds) and would like to spend time on teaching more Alphabetic Code knowledge, spelling, sentences and various types of speaking and listening, whilst reading plenty of good literature. Instead, I am expected at this stage to be pushing several types of genre writing at a time when some of my children would manage this reasonably well but many others will not as they are not yet secure with basic spelling or simple sentence writing. Then what is to be my priority? I agree entirely that the emphasis on the teaching will be entirely different in your scenario where you are teaching English as an additional language. In any event, you have the first hand ongoing experience and I must listen to you about your set of circumstances. I value your experiences and thoughts enormously. 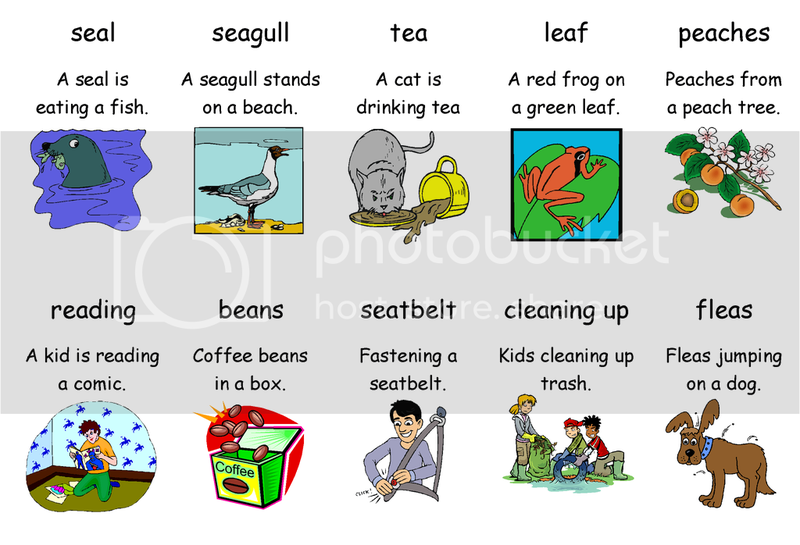 These are lovely I will definitely be printing those off to use with my EAL children. Thank you! Read! Spell! Do! Is a game I designed. There are 480 'Read!' (sentence) cards, 480 'Spell' (word) cards and 480 Do! (verb) cards moving from CVC to high frequency irregular. Try playing using your own cards. If you want more details, then please contact me. You will need a dice some counters and a paper and pencil. Players take turns to throw the dice and move forward by the number shown. If you land on a yellow square, another player will pick up a 'spell' card and read the word saying "Please spell...", then you must write the word. If you land on a blue square, another player will pick up a 'read' card and give it to you saying "Please read. ", then you must read the word or sentence. If you land on a pink square, another player will pick up a 'do' card and ask you to do something, then you must do whatever he or she says. If you don't understand, then you are able to look at the card. If you land on a orange square, then another player can choose a 'read', 'spell' or 'do' card for you. If you land on a fishing square, then you will miss a turn or throw the dice and move back the number shown and do the activity. If you land on the dice square, then throw again. The game ends when you reach the finish. Up to six players can play in pairs using one board, three counters and three dice. All six players can be involved at the same time. To speed up the game, then the team in last place can use two dice. I originally heard about this game from Judy Adamson, who lives in Wales. The version I send, was produced by myself and is quite different from the original. Looks like a great game! Well done. Actually my students prefer to get a read, spell and do card when they land on an orange square.